Have you joined Forever 21’s Threebies, My Way contest? If you still have no idea what this is all about, then you must’ve missed my blog post about it here. Awesome prizes await the 21 winners of this contest! Join and get a chance to win Forever 21 gift certificates, a shoot with me to be published on Meg Magazine and if you’re the most creative, a Samsung Galaxy Note 3 and Galaxy Gear Smartwatch! I’ve already showed you my first set of “Threebies, My Way” looks. Here’s another one to inspire you with your photo entry/entries! The theme for this set is called “pops of tomboy”. 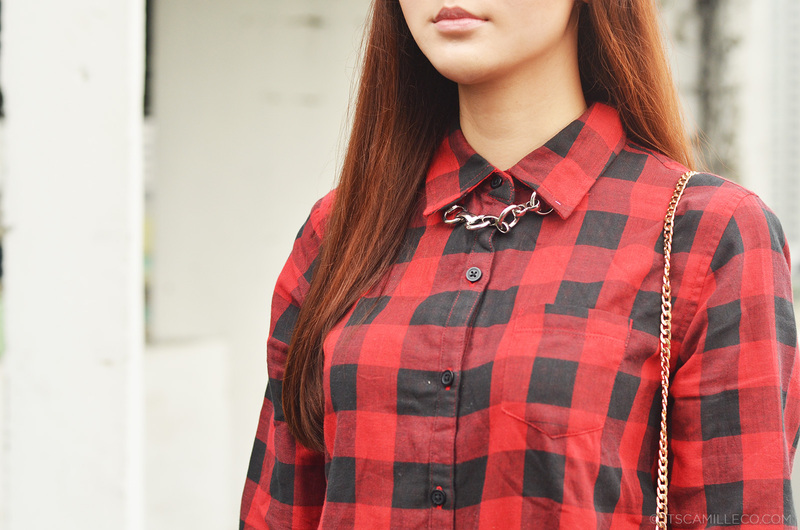 To execute this trend, I chose Forever 21’s plaid shirt as my key piece for all three looks. This first look is my favorite. It’s just so easy-going and comfortable. 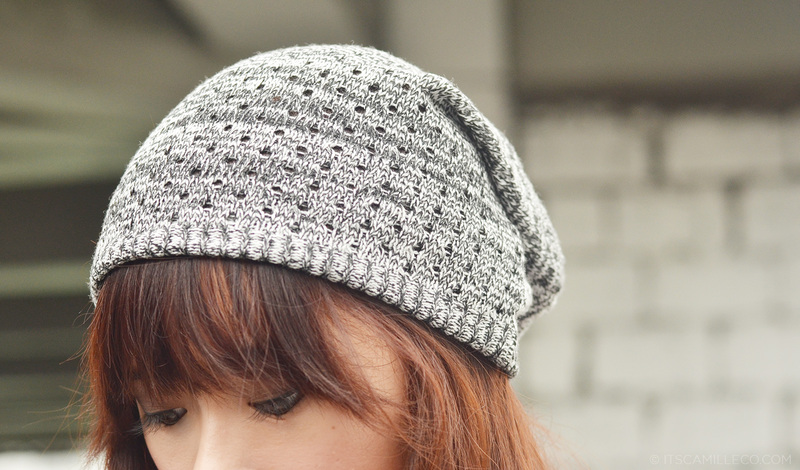 Perfect for the gloomy weather! For my second outfit, I wore even more boyish clothes to show a tougher look. I feel so punk rock in my leather jacket, houndstooth jeans and muscle tee. Instead of wearing my plaid shirt as a jacket, this time, I just tied it around my waist to add a pop of color to my outfit. It matches my muscle tee’s no drugs sign well, don’t you think? 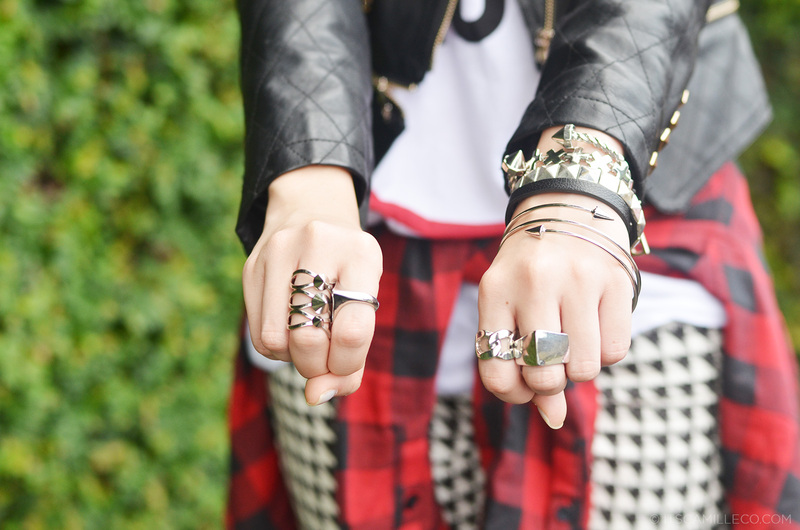 Notice that aside from my plaid shirt, I reused a lot of my accessories as well from my previous look. You see, you don’t have to switch everything up all the time to create an entirely different look. It’s all about the overall appeal. For my third and final look of this set, here’s something a bit more polished and feminine. See! 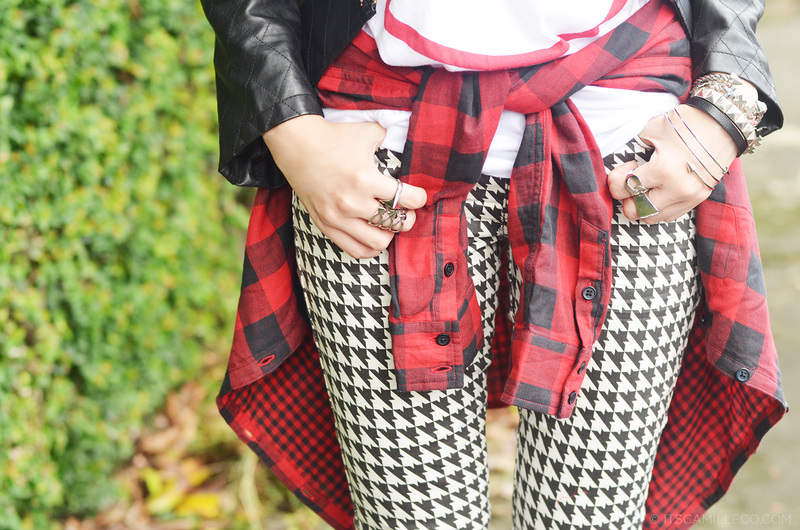 Plaid shirts aren’t just for grunge or rock and roll! It can be for the more serious dressers too. Serious, but still a little bit of fun as well. I hope you were able to get a few ideas from my second Threebies, My Way look. You can still join and submit your own Threebies, My Way photo entry at www.forever 21ph.com until October 6, 2013. Submit as many photo entries as you want as long as you abide by the rules. (I can not stress enough how important it is to read the contest rules. You don’t want to get disqualified so please spare a little of your time to read them here.) I’ve been seeing a lot of stylish entries already. Keep them coming! Get creative! i have the same plaid long sleeves! Now i got an idea what to wear later for the praising event! haha! How I wish I can pull off everything just like. I love the second look. I’m a huge fan of yours. Hmmm maybe I will! :) Thanks Kitkat! Hello, Miss Camille! I’m back from an imposed World Wide Web hiatus. I missed reading your blog so much! Imagine the pops of color I saw on your latest outfit posts. I was thinking, ‘Yep. I missed a LOT!’ Yet, here I am! I enjoyed seeing all the looks for your Threebies choices. You even incorporated the current weather into your styles. I have to say you turned gloomy into DREAMY! The grays only add up ante to your color palette of choice. 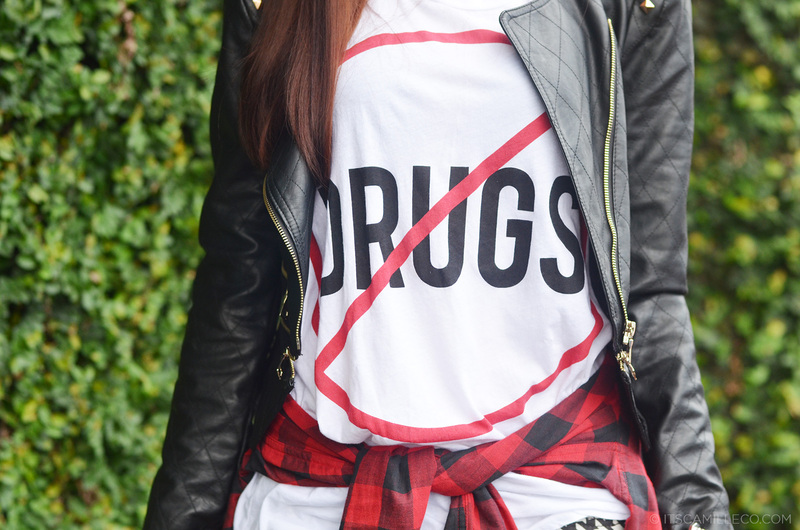 The statement tee of NO DRUGS really stood out to me. It’s wonderful to see you rock this piece along with a message for this generation. The double whammy on your jacket and the plaid shirt combo roars out gutsy. It’s a step away from your usual picks, and I definitely give you a thumbs-up for this one! 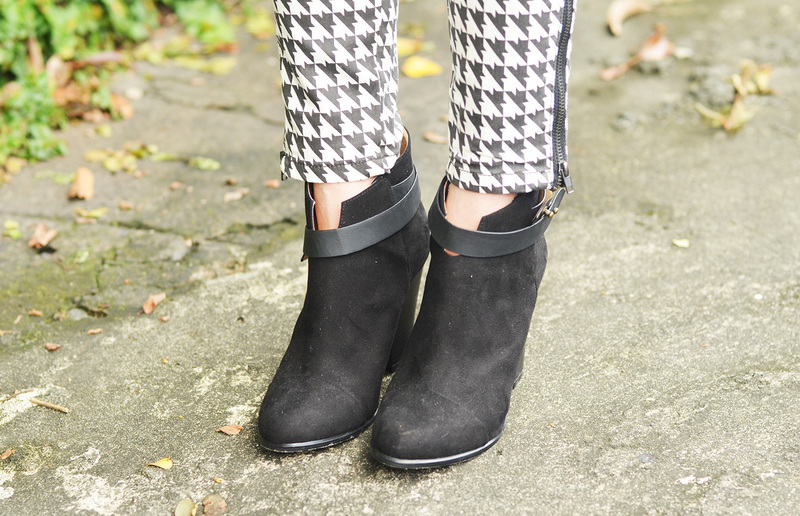 I also admire the checkered print-on-print effect of your third look. The red and white don’t fuse, they don’t blend, they amp a pattern all their own! is the dress on your 1st outfit still available right now or you’ve bought it long ago pa? For me, the plaid shirt and the checkered skirt look impossible to be together. But kapag ikaw na yung nagsuot, HASHTAG BOOM!! IKAW NA! Ang galing galing :O Hahaha! Hi Ms. Camille! 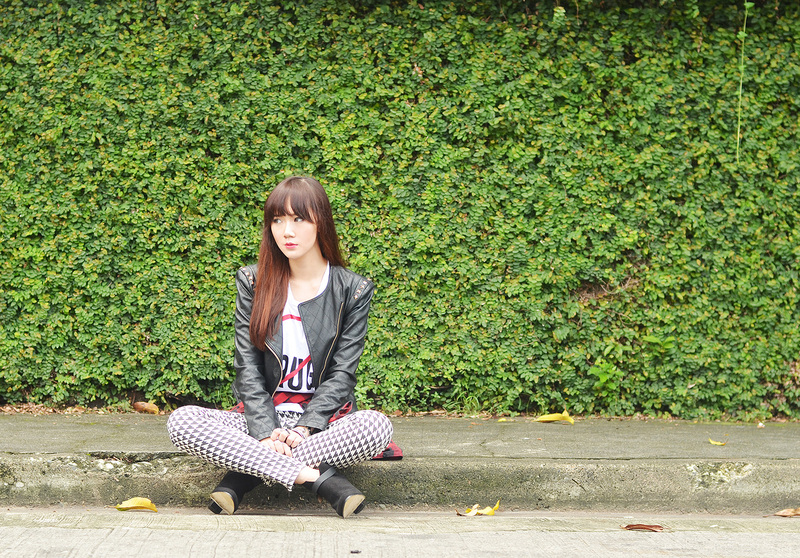 I love your checkered skirt :) Cool outfit post :* More power to your blog. A very versatile camille, as always. You never fail us everytime we look and scroll away with your blog. clap clap clap!!!!! one word. FLAWLESS <3 nakaka self-conscious! hahahaha! can i pretty pleaaaase have your legs? ugggh! haha! nasayo na ang lahat ate cams, legs nlng sa akin please. haha! Oh no but how will I do my posed without them? LOL! Thanks Carina! Hahaha! :) Thank you Ren! How do you do that? You look great whatever you wear. I am in looove with all the looks you came up with! But I gotta say, the 3rd one is the best! So Jak and Jil worthy! 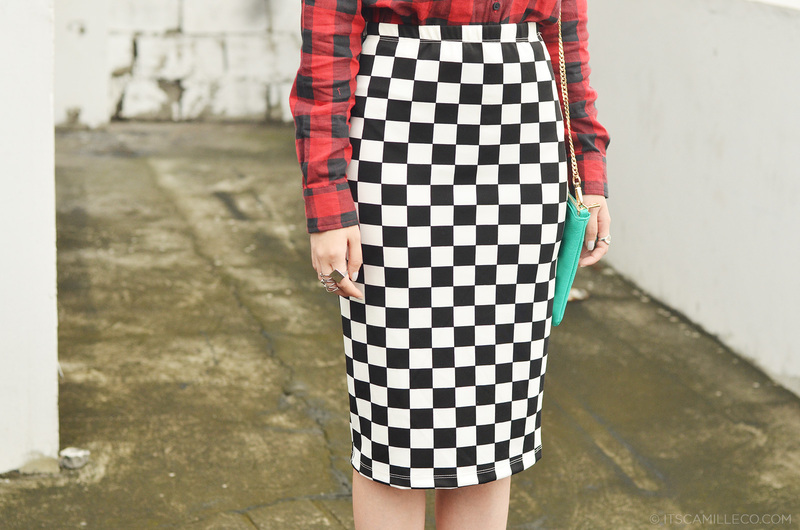 I love how you juxtaposed the plaid shirt with the girly/corporate vibe of your pencil skirt! Were these photos taken long ago? Your hair looks different here eh. You rock in all the outfits! I love how you created with one single main piece three utterly different looks with very different styles in them! My favourite one would be the second one. I’m just more for the tougher thing for looks – so it’s just my personal preference. Of course all of them look great. 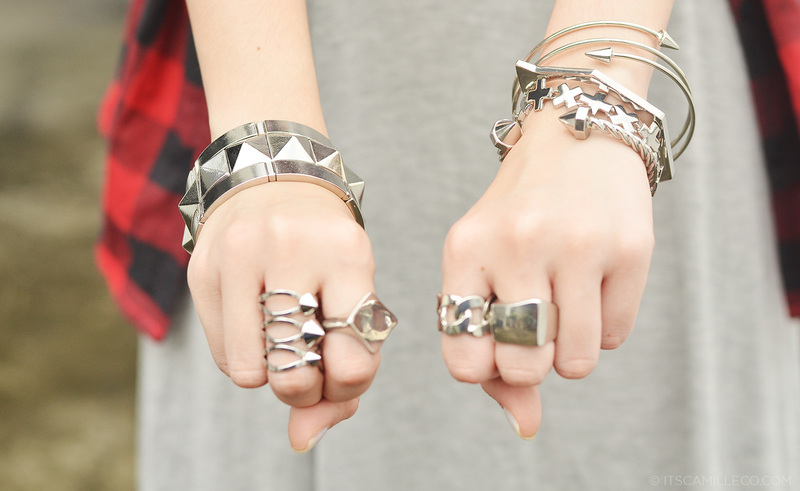 I admire you for such a great sense of combining and styling. I just love every single detail and love the silvery accessoires you used here.